About Brackets -- for "No See Ums"™ invisible quilt hanging systems. 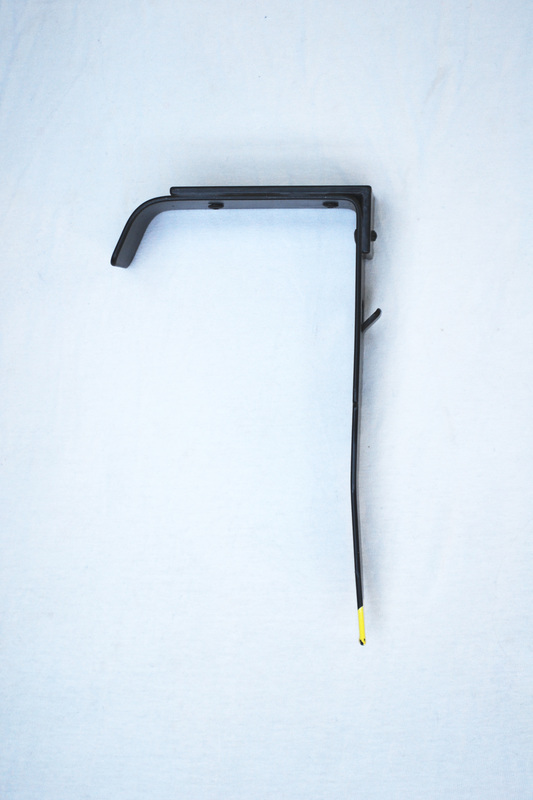 Each of the types of brackets have a small tab on which the telescoping bars rest. The tab pushes a bit of sleeve fabric into the slot which runs the length of the bar. Wall brackets mount on walls using either 3M Command™ adhesive strips or with screws through pre-drilled holes. Lanyard brackets are used on cords and held in positions by cord-locks. 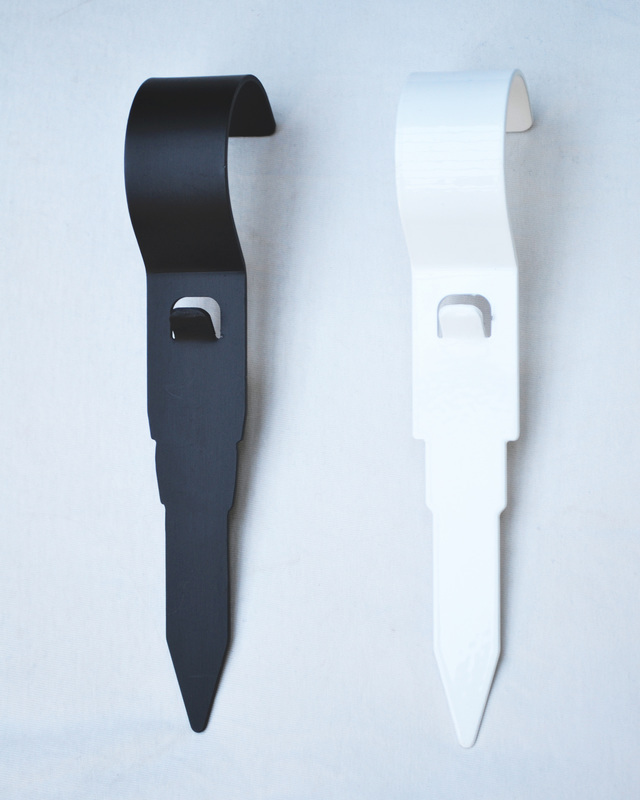 Hook-brackets are available in black or white. Custom colors may also be ordered for other colors of draping. The base of a hook-bracket slides into the end of a hanging tool in order to be raised and lowered when you are standing on the floor. 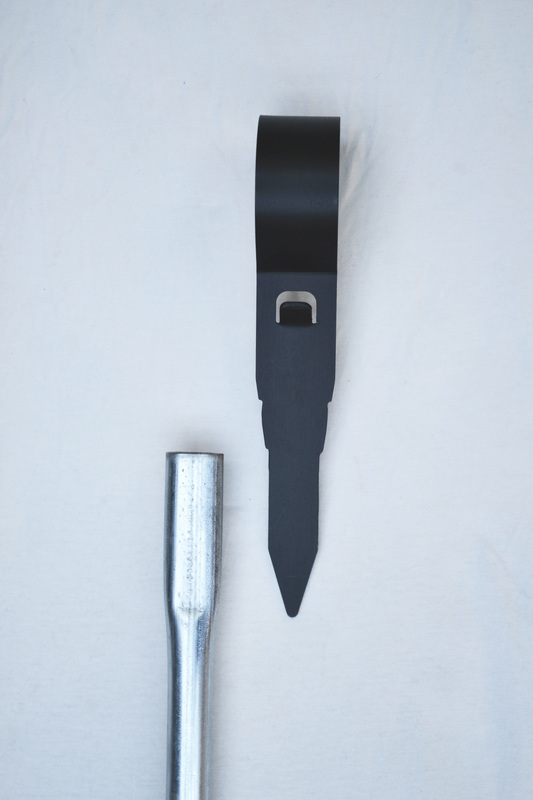 Side view of a hook-bracket inserted into the hanging tool receiving end. Special brackets are used on slat walls or over crown molding. 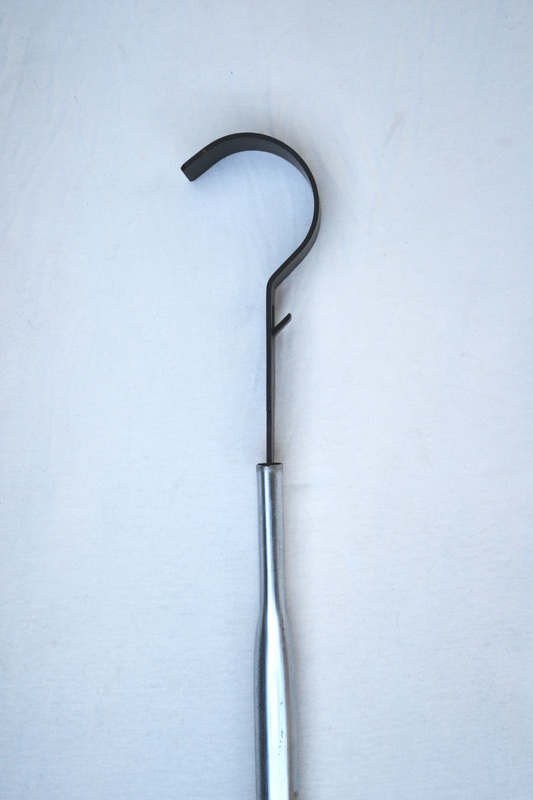 These brackets may also be used with hanging tools in order to raise and lower quilts while standing on the floor. "No See Ums"™ slat wall or crown molding bracket. Bracket bottom can slide into the hanging tool end shown adjacent. These brackets hang over top of exposed ceiling beams. They may be raised and lowered with special telescoping hanging tools. Two people can raise or lower quilts from ceiling beams using two telescoping hanging tools.